If German producer/director Jens Meurer’s career had a title, it would be “Never Say Never”. From production driver to producer, there really seems to be very little that this 46-year-old, Nuremberg-born ex-journalist and theatre composer hasn’t already done – or wouldn’t dare to do – in the film industry. In 1990, he started making documentaries; five years later, he won the European Film Award for “European Documentary Filmmaker of the Year”. 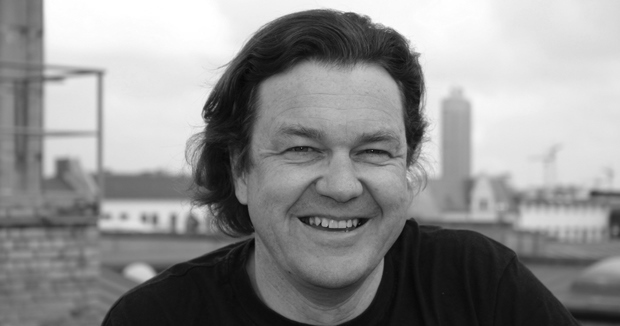 Meurer then founded his own production company, which merged in 2001 with British producer Judy Tossell’s to form the German-based Egoli Tossell Films. Since then, he has produced more that 70 films, including the 2006 Paul Verhoeven hit Black Book. Despite his success, Meurer still “shakes with nerves” in the days before a premiere – just as he did before the release of his latest production, and first-ever collaboration with Hollywood stars, the Oscar-nominated Helen Mirren and Christopher Plummer-starring Tolstoy biography The Last Station. How would you describe the role of a film producer? I would say there are only two good moments in making a film, one is when you first have the idea – this initial excitement of “Hey, we’re gonna make this film!” And the other one happens one year after the film is finished, when you can look back and say, “Well, I survived this, it’s done and I might even be proud of it.” Everything in between is constantly full of doubts and disappointments, with moments of great exhilaration. What’s been your most memorable gamble so far? Russian Ark by the director Aleksandr Sokurov was the first movie in the history of film to be entirely filmed with just one camera, in one uninterrupted, 86-minute-long shot – an unedited shot. That meant that if even one thing had gone wrong, everything would have been ruined. It was a big gamble, but it became a very beautiful and successful film. It’s an example of how crazy the whole thing is, but also how it can go right! It sounds like a risky business. How does one “fall” into film producing? It was probably a really stupid idea… It first came to me because I wanted to decide things for myself, instead of having people telling me what I could or could not do. But I’m just a temporary film producer; my real job is filmmaker. Right now, I’m working on getting back to directing. And Berlin is the right place for film? Totally! Germany is a good place to be international. We often make films in other parts of Germany because there’s not enough money here in Berlin, but international filmmakers all to love come to Berlin. So the Medienboard Berlin-Brandenburg Film-förderung is doing well, then? It has been an absolute success story, because even though media and film are not huge industries, they are very visible and influential ones. I think is very clever of them to put a little bit of money into film and get the big reward of all the international and German filmmaking that is happening here. It helps make Berlin one of the most exciting places in Europe. Is that why The Last Station, including the scenes set on Tolstoy’s estate, was all filmed in and around Berlin and other German cities? It would have been nice to film it in Tolstoy’s real house, but that wasn’t realistic because it’s a museum. Also, we have a lot of film foundations in Germany, so it was easier to finance the film here. When Michael Hoffman showed you the screenplay, what was it about it that seduced you? I really liked the fact that is a film about love, about how impossible it is to live without love, but how difficult it is to live with it. And all this is told in an almost Chekhovian way, with a lot of humour and a lot of tragedy. I’m very, very proud of the film, and the reason I’m so proud is that I could see in the premieres that it really works for people. The audience did laugh, they did cry, because it’s a very human and emotional story tht people can identify with – beyond Tolstoy’s life. What’s your favourite scene in the film? It’s when James McAvoy, who plays Tolstoy’s secretary, asks him why he still loves his wife after the nearly 50 years they’ve been together, and Tolstoy says, “I am still totally in love, but it’s terrible at the same time.” And I think that’s a very moving and romantic scene. Etiquetas: Berlin, Berlinale, Exberliner, Film, Jens Meurer. Añadir a marcadores el enlace permanente.